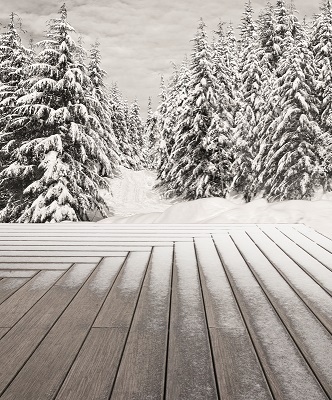 At Archadeck of Central Connecticut, we have been building decks for homeowners throughout the Central CT region for over 17 years. We service Avon, Cheshire, Farmington, Guilford, Madison, Woodbridge and the surrounding areas of CT. Our goal is to bring the best to our customers and that includes not only the best design and craftsmanship but also the best materials. 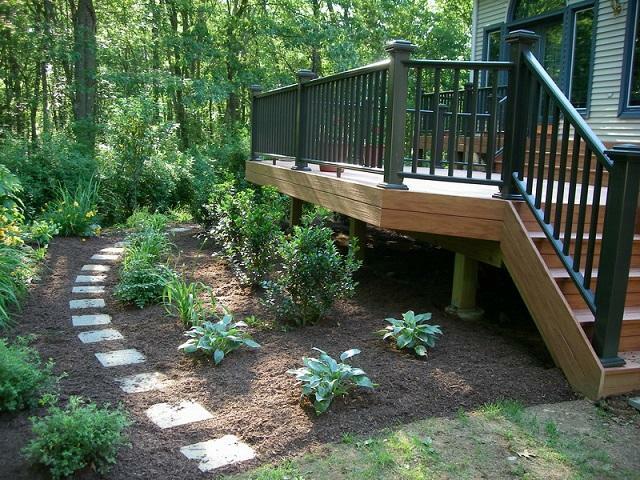 This elegant low maintenance deck in Cheshire, CT is built with function and beauty in mind. 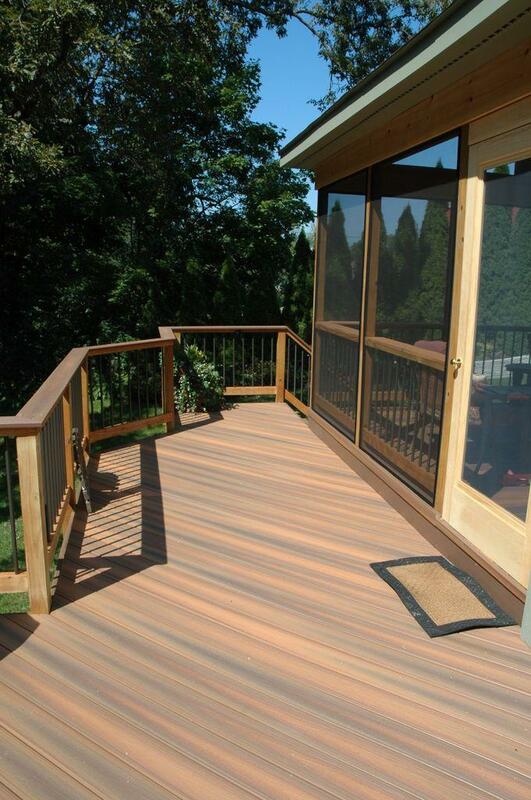 Built using low maintenance Fiberon decking. Which gives this outdoor space the natural beauty of hardwoods without the upkeep. 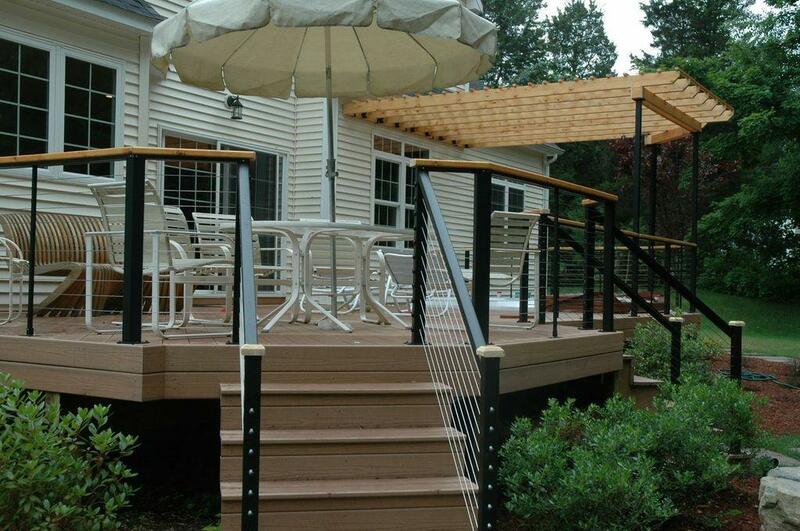 The original plan for this deck was to use traditional low maintenance railing, but as the project evolved the homeowner’s, along with our designer, decided that a Feeney cable rail would give the deck a distinct look that would set it apart from the ordinary. We topped the deck railing off with cedar caps to better tie in the cedar used for the pergola into the deck space. 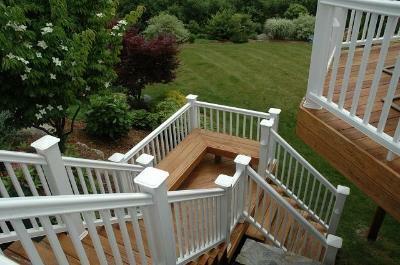 Archadeck of Central CT designed exactly the space these Middleton, CT, homeowners had in mind. This new deck includes a spacious area that provides for grilling, dining and gathering.The area then descends into a sunken deck and hardscape patio combination which is surrounded by a custom seating area with inglenook style seating.The custom seating is designed around the homeowner’s fire pit which sits in the center of the hardscape patio. “Our screened-in porch is now my favorite room in the house. I’m in Connecticut, but I spend time on the porch 10 months a year. It is an absolutely beautiful addition and clearly shows incredible workmanship, quality and concern for the work that Archadeck performs. 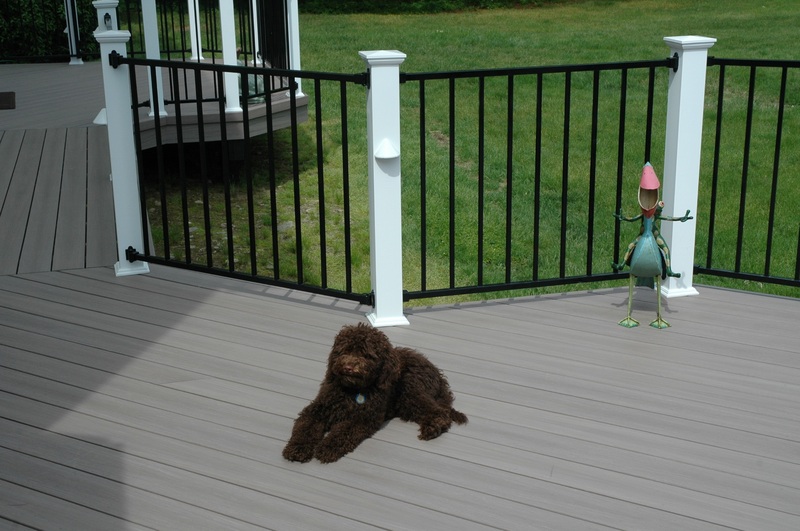 — Even the four-legged member of this Orange, CT, family loves the new deck! — Eco-friendly bamboo can stand up to even the coldest Connecticut winters! 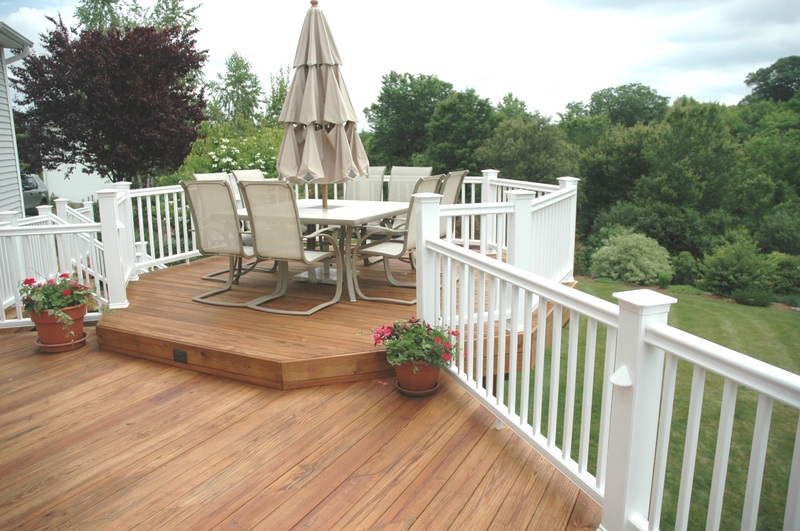 We invite you to call for a free design consultation (and/or a free deck safety inspection if you happen to own an existing deck). At your consultation, we’ll show you past projects, discuss your needs and tastes, explain your construction material options, talk about costs, and measure and photograph your home/lot. If you move to the next step, we will create a design drawing for your project. 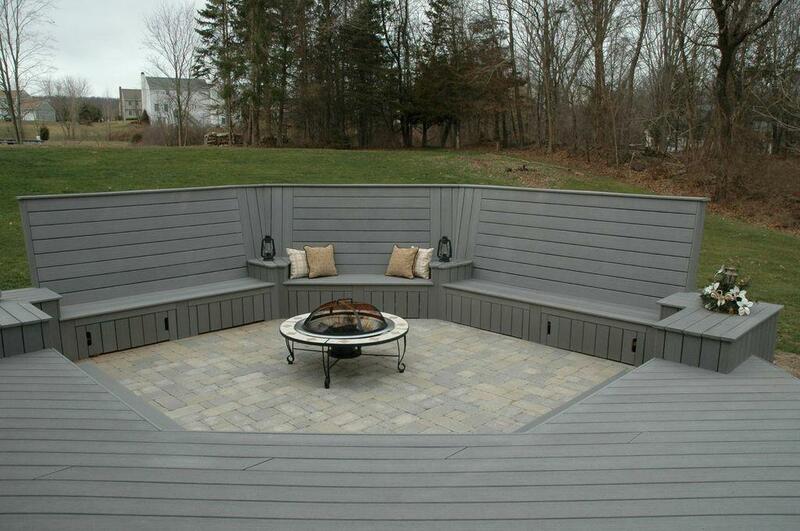 Archadeck of Central CT took the seating “nook” space a step further by adding custom “barrelback style” bench seating to this deck space. 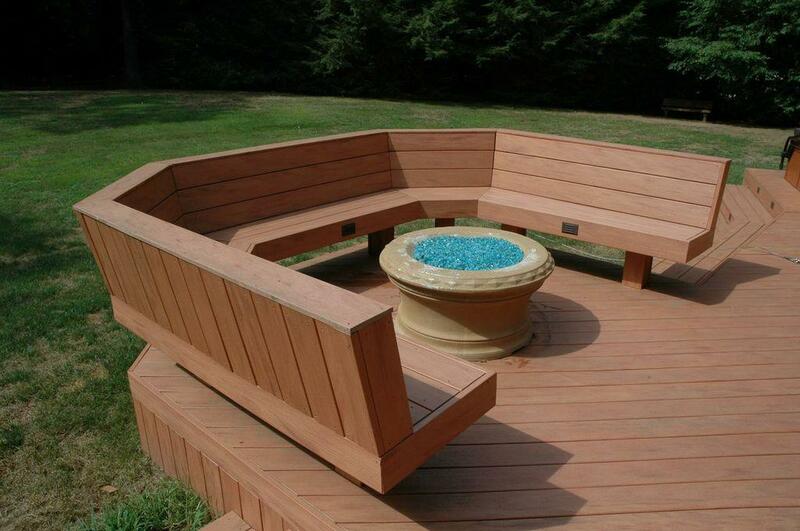 This new bench seating surrounds the custom gas lit fire pit the homeowners have added to the space. 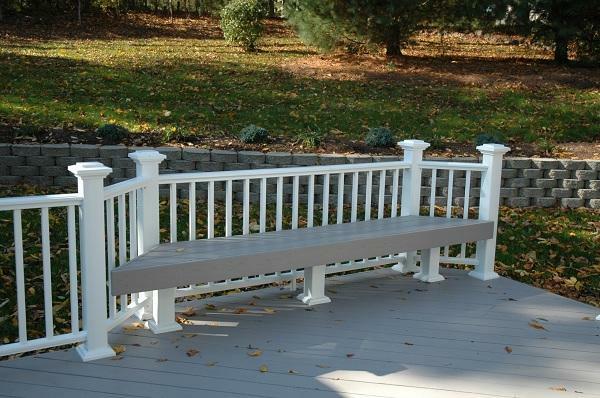 For added comfort and convenience this deck in Berlin, CT includes built-in bench seating.